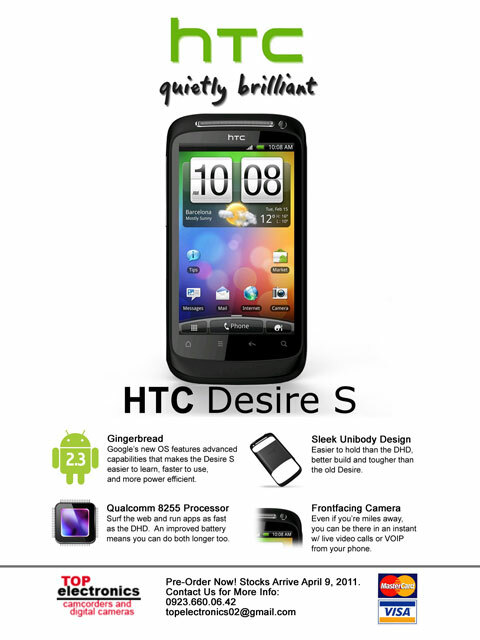 I’ve been told by one of the local HTC retailers that the HTC Desire S will be available in stores this Monday with an indicative SRP of about Php25,990. Not bad for an HTC Desire re-fresh. If you are in a hurry to get first dibs on the unit, you can pre-order at Top Electronics (see posted below) and get it at only Php23,500 (see poster for details).